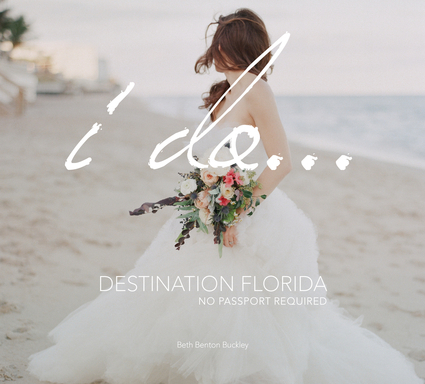 Inviting couples to meet 40 of Florida's top wedding artisans, this book offers an inside look at the most gorgeous events as well as the locations that make the state a hotspot for destination weddings. A must for brides-to-be, this book will appeal to those drawn to the regality of an old Florida seaside town and those who appreciate the modern vibe of a more metropolitan area. Adding to this romantic collection is a sprinkling of witty quotes on love, marriage, and preparing for the big day. Some of the contributors include: Earth and Sugar, Flagler Museum, Kathy Peterson Inspired, Lee James Floral Designs, and Stonehouse Events. Beth Benton Buckley has conceptualized, designed, and curated dozens of titles in myriad subjects including: architecture, celebrity event design, hospitality, interior design, travel, and wineries. She lives in Delray Beach, Florida.